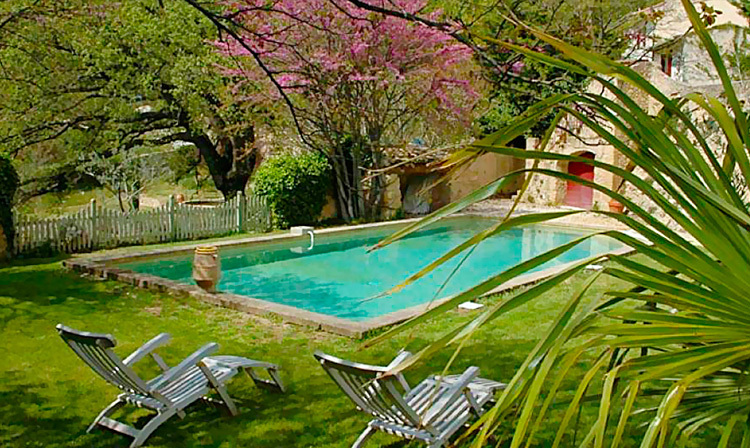 The pool is located in a former vegetable garden. 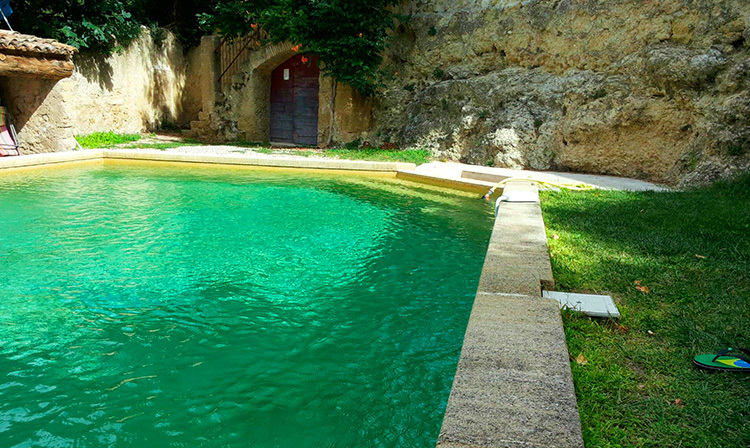 Surrounded by old stone walls and locking gates, it is equiped with an alarm to protect non-swimming persons. The pool is 11.50 x 5.50 meters width and 1.50 meter deep. The surrounding patio is planted with grass and trees, offering a cool shade.